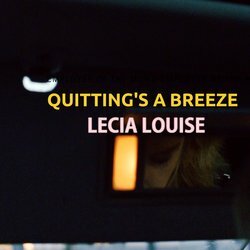 Unlike your usual singer songwriter, Lecia Louise demands attention with her soaring, bluesin’ rockin’ guitar riffs and licks. A guitar virtuoso and diverse songwriter, Lecia effortlessly moves through the styles of rock/pop and blues. From a lyric driven tune to a rockin’ song to mosh, move and groove to, Lecia has been touring internationally and nationally and ‘wowing’ audiences. When performing solo, Lecia is a one woman show, layering beatbox, bass, guitar and vocals, while utilising her feet for percussion. Get her with the band and the place will be a rockin' and a rollin’. An award-winning songwriter and performer, Lecia has played at many popular Australian festivals and supported some of the Ozi greats such as Killing Heidi, Grinspoon, Phil Emmanuel, Shannon Noll, Daryl Braithwaight, Mental as Anything, James Morrison, Phil Manning and Jon Stevens (INXS, Noise Works). Lecia has released 4 CD’s, 5 singles, one of which charted # 1 on the JJJ unearthed charts for 5 weeks in 2015 (‘Individual’). The song is created from the simplicity of 2 chords which weave between suspended and major 7th notes reflecting the changing yet disturbing reality of depression. The vocal melody rises in pitch from through each verse and choruse, finally reaching its musical and lyrical climax in the bridge. When things get hard quitting can appear the easy way out.